Everybody knows the iconic look of the Panama hat, its elegance, sharpness, and pure practicality It has been and still a mainstay for those who need something stylish to decorate their head. However not many people know that this straw hat is in fact crafted in Ecuador, where experts have been creating authentic Panama hats for over 400 years. Made famous by actors such as Gary Cooper and Humphrey Bogart, the Panama hat was the one garment that you had to wear. Wearing it made people stop, notice it, and want to wear it too. Even into the 21st century, the authentic Panama hat the genuine Montecristi hat still is a sort after commodity that all people, including the rich and famous still love to wear. Whether in a high fashion environment or just walking to the shops, the Panama hat can be used for all occasions. We will take a close look at the origins of the Panama hat, how it is made, how it became a fashion icon and other interesting facts that you can talk about over the dinner table. Roosevelt and his Panama Hat with Churchill. The history of the Panama Hat. How is the real Panama Hat made? The straw hats are made from the plaited leaves of the Toquilla palm, which is more like a plant than a tree. The leaves are expertly separated, assessed and then manipulated into the strips of fiber used when weaving the hat. The precise nature of finding the plants, knowing which ones will yield the best fiber/straw and then preparing this and then weaving it are just some of the reasons why it is necessary to invest in someone who is a craftsman and who can weave the finest Panama hat. The art of weaving a Panama hat was added to the UNESCO Intangible cultural heritage list. It was created to ensure the better protection of cultural heritage like this, and it shows the importance of the tradition and the skill that goes into making one of these hats. So, you already know that real Panama hats are actually made in Montecristi, Ecuador, but where did they start from? And, how did they evolve to be what they are today? The first sightings of woven straw hats were documented around the early to mid-1500s in the area now called Ecuador and were worn by natives of the land and noted by Spanish Conquers that arrived there at the time. The hats as we know them today can be dated as far back as the 1630s where they were woven in the areas of Manabi and Guayas, pinpointed exactly in a town called Monticristi. The hats were actually referred to by a few different names Monticristi, Jipijapa, another area in Manabi or Toquilla, named after the tree where the fiber comes from to make the hats. The Monticristi hat is still a real name for the Panama hat as well as the name Toquilla can be used today in reference to the straw used to weave the Panama hat. To this day the area of Montecristi is still renowned worldwide to produce the best quality Panama hats. 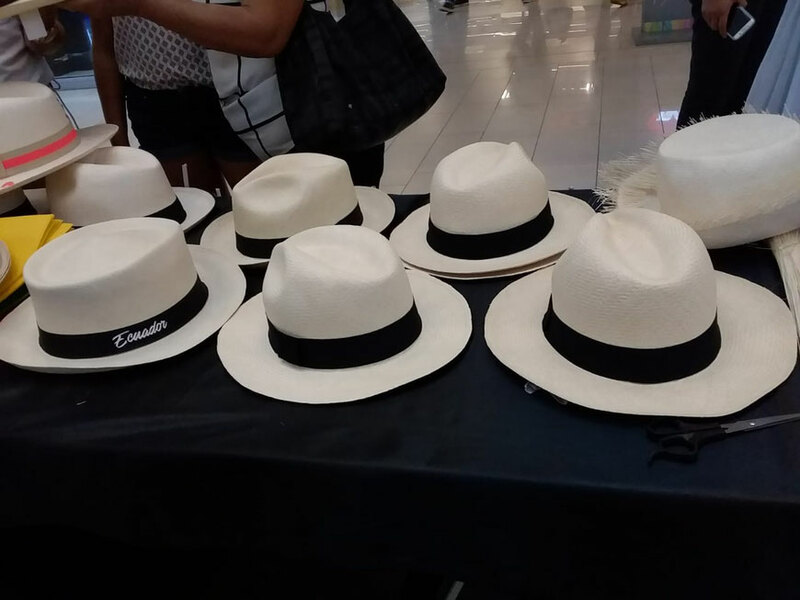 So even though many areas inside and outside Ecuador make Panama hats, the original area of Montecristi is the place where the Panama hat or the genuine Montecristi hat is seen to be the best and most sought after. The defining decade 1830s. Manuel Alfaro. 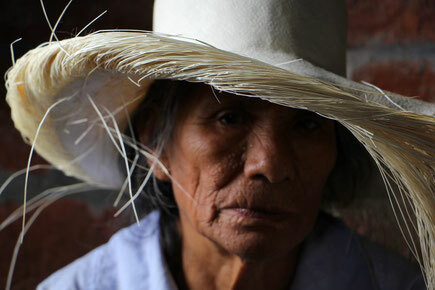 So, the 1830s can be seen as a big turning point for the hat industry coming out of Ecuador. In 1835 a man called Manuel Alfaro emigrated from Spain to Ecuador and set up a hat weaving business that revolutionized the production of the hats by making bigger and smoother production methods, all focused on exporting the authentic Panama hat for maximum financial gain. By using the port of Guayaquil and the new railway in Ecuador built in the 1850s, the export of these hats was thriving all throughout the 19th century and Manuel Alfaro was the catalyst the handwoven Panama hat needed to get promoted further than the shores of Ecuador. More and more competition came over the years which sort to undercut Manuel, but the quality and quantity of the products he was producing were still very much head and shoulders above the newcomers. Although there clearly became a market for the cheaper poorer quality hats, most people still wanted the best quality, original Panama hats and people were happy to pay extra for this. In 1836 a big hat factory was created in Cuenca to boost the economy in the area and it quickly established itself and took a chunk of the export market. They would provide jobs and training for anyone who was interested, so the whole area became focused around the Toquilla hats, exporting to Panama and it´s canal workers and surrounding countries. In 1945 a man by the name of Don Bartolome Serrano sort to accelerate the Cuenca production by looking at the bigger picture and focusing on the supply lines of straw from the more substantial Toquilla growing areas. He also sourced all of the equipment, and hired expert weavers from the areas famed for their expertise. With his growing influence, Serrano made it compulsory for everybody to do an apprenticeship in Panama Hat making, even going so far as imprisoning people if they did not do it. These extreme measures made sure that the supply and production of the hats were not interrupted and really boosted the export of the hats in the area. Why do people call them Panama Hats? Ecuador, although being the home of the Panama hat and being where all of the skilled craftsmen originated from, was basically not situated in the right place. Geography played its part, in the Panama hat not being called the Ecuador hat or its real name of Monticristi. Nobody really passed through Ecuador, besides Ecuadorians, who already wore the hats and could make their own. So, in order to sell the hat and make it a success, they needed to find a place where there would be enough people to see the hat and want to use it. Luckily, Panama fitted those requirements and provided an area with a lot of transit. Especially during the gold rush ¨mid-1800’s¨, people from the east coast of the United States wanting to get to the West coast used to pass through Panama as this was seen as the fastest route, much faster than going across land at the time. While traveling, people used to see others wearing the hats, which were the perfect lightweight, fashionable and sun protecting hat that they needed for mining gold. Panama became synonymous with the hat and therefore the connection and the name stuck like glue. If the only place ¨main place¨ you are seeing and buying the hat from is Panama it is a natural process that you name it after that place and with nobody at the time pushing the origins of the hat, the hat was linked to that area. How did this straw hat become famous? There were a few instances that put the Panama hat in people’s consciousness, the hat was popular and widely used, but there were specific moments throughout history where the popularity of the hat rocketed. With certain events across the world and notable people wearing them, word soon spread about the hats that seemed to originate from Panama. The rise of the handwoven Panama hat could be argued to have started when the Panama hat was presented at the World Fair in Paris in 1855. It was thrust onto the world stage, particularly in Europe and in one of the most fashion conscious cities in the world, this made people take notice. It can also be seen as the place where the link and connotation with Panama hats had been cemented into people’s brains, as there was no mention of the hat being made in Ecuador and nobody really cared to question it. Theodore Roosevelt catapulted the hat further into the mainstream at the beginning of the 20th Century when he was pictured visiting the Panama Canal and sitting in a steam shovel in 1906, a much talked about picture shown within the US and also the rest of the world. Having the president of one of the most powerful nations on earth wearing your merchandise is a great way to market your goods, and so it proved with interest in the hats reaching fever pitch. Madonna and her Montecristi Hat. Onto the mid 20th century, where film stars such as Humphrey Bogart wore the Panama hat in his films like Casablanca, this solidified the romanticism and style of the Panama hat in people’s psyches and made the Panama hat the number one export in Ecuador surpassing bananas. Other actors such as Gary Cooper and Orsen Welles also wore these hats and made them the must-have clothing item for men in the 1940s-,1950s and beyond. It was an age where certain movies and movie stars were world-renowned and respected, so if you saw an actor/actress wearing a certain item, it became very much famous. So not only the Panama hat became Ecuador's biggest export, but also it had other influences on the politics and people of Ecuador. Manuel Alfaro’s son, Eloy mentioned above came over to Ecuador and took over the family business making it even more successful. This allowed Eloy to build up a reputation and wealth that would lead to the liberal revolution in Ecuador where he then became the President of Ecuador. His leadership changed the country both socially and economically and the Panama hat became a symbol of nationalism and independence for the Ecuadorian people. It is crazy to think that the production and popularity of a hand-woven straw hat could have such a profound effect on the whole outlook of a country and its people, but that is what it did. The appetite for authentic Panama hats is still strong today. The way they are made, being light and practical, with the style associated with film stars and poets alike, Panama hats will always be a sought after headpiece for any self-respecting man or woman. Owning something so iconic, so recognizable for its quality and substance, is a must have for a lot of people. Take in the history, appreciate the craftsmanship that goes into each individually handmade hat and treat yourself to one. However, do yourself a big favor and choose a quality, authentic Panama hat, from one of the best, handmade Panama Hat weavers, Domingo Carranza and you won’t regret it.